This project shall provide profound knowledge on the Balkan Region in order to support targeted EU enlargement policy and strategies in the light of Cohesion Policy aiming (1) at maximized efficiency and effectiveness of EU enlargement policy for the Balkans (2) to address European integration challenges in the Balkan Region, and (3) support for strengthening Social, Economic and Territorial Cohesion of the Balkan countries. 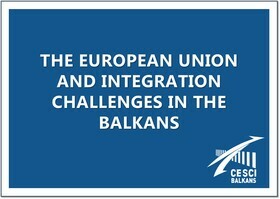 Interregional, trans-national and cross-border connections, interactions and intensity of cooperation are crucial for achieving Economic, Social and Territorial cohesion in the Balkan Region, particularly with regard between the new and old EU Members, between the EU Members and the Neighboring Countries and between Neighboring Countries. Comprehensive understanding of the Balkans is impossible without full understanding of current borders and history of their evolution. Frequent movement of borders and border regimes in this region has resulted in the current relations between Balkan countries and nations, as well as, their relations with the EU. By detecting the evolution and current situation of Interregional, transnational and cross-border connections, interactions and intensity of cooperation and also intensity of Social, Economic and Territorial cohesion of the Balkan countries, we will create prerequisites for: tackling challenges of EU integration, developing recommendations for maximizing efficiency and effectiveness of EU enlargement policy and creating framework for synergies with European macro-regional strategies. This project will help to understand what is applicable for the Balkan countries (and what is not) and why, and will present the best practices for the Balkan Region of enhancing the interregional, transnational and cross-border cooperation process for the purposes of the overall harmonious development of the European Union.